You are here: Home / Columns / Publisher Ng's blog / BLOG: What can the reality show contestants learn from each other? Seattle has been on the map recently. 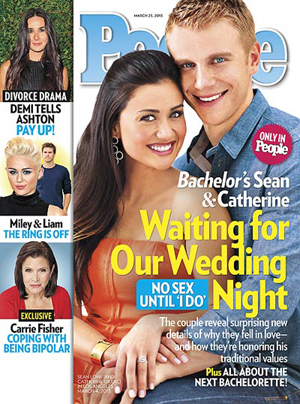 Local Filipino girl Catherine Giudici, who attended Roosevelt High School, won ABC’s reality show “The Bachelor” and is planning to wed Sean Lowe. But that’s not the first time Washingtonians have won reality shows. When Ohno won, he was already an established Olympic gold medalist and one of the most decorated Olympians of all time. He had an agent, and his dad was his manager. He didn’t need any advice. What Sun and Giudici have in common, though, is that they were relatively unknown before their shows. Sun capitalized on every opportunity from his newfound fame and went on to great heights. He’s appeared on his own TV show produced by BBC, appeared in commercials, and even has an article on Wikipedia that lists his accomplishments. Not every Apprentice finalist gets that. Between his native land, South Korea, Seattle, and the rest of the country, Sun has been all over the globe. When he came back to speak at the UW Foster School of Business, over 400 students lined up to listen. He and I both received the University of Washington Wondrous 100 Alumni Award, but I have never submitted this information to any other media. I have to confess that I fail at the American system. I just don’t know how to sell myself. Or, I am reluctant to. Clearly, Sun is a gifted promoter. Perhaps, Giudici can learn a few tips from Sun and how he was able to enhance his career through his fame. i’ve been through a lot many of reality shows. what i don’t understand is why do we still bother to watch these shows. i always get the feeling that these shows are scripted for sure. the only thing that matters for shows like these are TRP and profits by any means. wanted to share an infographic that i came across on reality shows.